Positive: Elegant design; great built quality; full connectivity; comfortable keyboard; bright display; excellent performance. Negative: Overheats while using; mediocre speakers; short battery life; high price. The ThinkPad X1 Extreme is the consumer version of the ThinkPad P1 workstation. From multi-monitor support to a rich MR/VR experience and even to intensive gaming, the ThinkPad X1 Extreme handles demanding computing tasks without a hitch. Lenovo is not breaking with tradition with the X1 Extreme, either. The laptop’s body is made of carbon fibre with a sturdy feel to it, and ports are easy to access on either side. 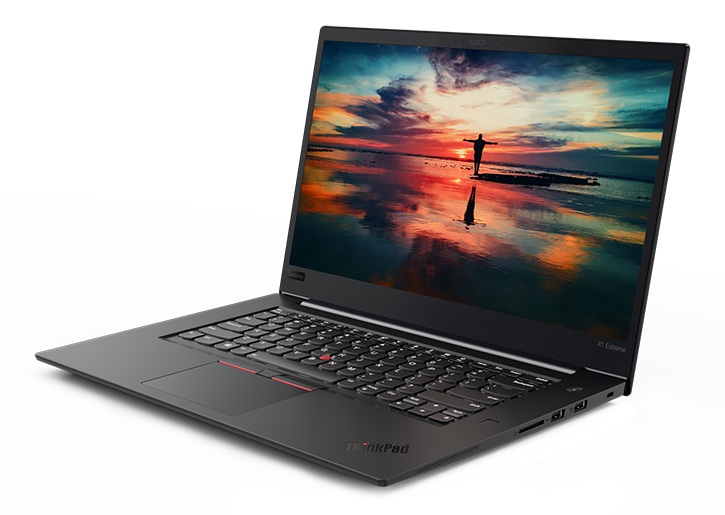 The trusty ThinkPad keyboard and pointing stick make a return as well, opposite a 15.6” display that can either be configured as a non-touch Full-HD screen or a touch-enabled 4K IPS display with HDR and Dolby Vision, as well as support for a stylus with tilt function and shading. Users can opt for either an 8th-gen Coffee Lake Core i5 or i7 processor to start with, and up to 64 GB of DDR4 at 2666 MHz, Dual DIMM RAM. Then there is the storage, which comes in the form of up to 2 TB that can be configured via dual M.2 PCI Express NVMe SSDs with RAID support. That is a huge amount of blazing-fast storage to play around with, making it easy to work on large and complex files in most programs. The graphics department is where the X1 Extreme might seem to fall short. In theory, with a GTX 1050 Ti Max-Q GPU, it will match the performance of the XPS and the EliteBook, but it cannot compete with the full-voltage 1050 Ti chip inside the Zenbook Pros. Lenovo is using a tiny (and light) power brick alongside an 80Whr battery in the ThinkPad X1 Extreme, and the battery should charge up to 80 per cent in just an hour thanks to Lenovo’s RapidCharge tech. There is even a fingerprint reader at the side of the keyboard and a Windows Hello camera that can be covered with the ThinkShutter camera cover. Windows 10 Pro is pre-installed, so a user will be able to use the built-in camera to log into the operating system with just their face. For connectivity, a user has got two USB-3.0 ports and an SD-card reader on the right side, which is great for quickly connecting an external storage device or to copy content directly from an SD card. On the opposite side sit two Thunderbolt ports, full-sized HDMI, a network extension port, and a headphone jack. The Thunderbolt and HDMI ports mean that a user can have up to three external monitors connected to the X1 Extreme, which makes it perfect for video editing or working on complex programs that need more screen space. It’s plug-and-play-ready for the leading VR/MR headsets, including Oculus Rift. 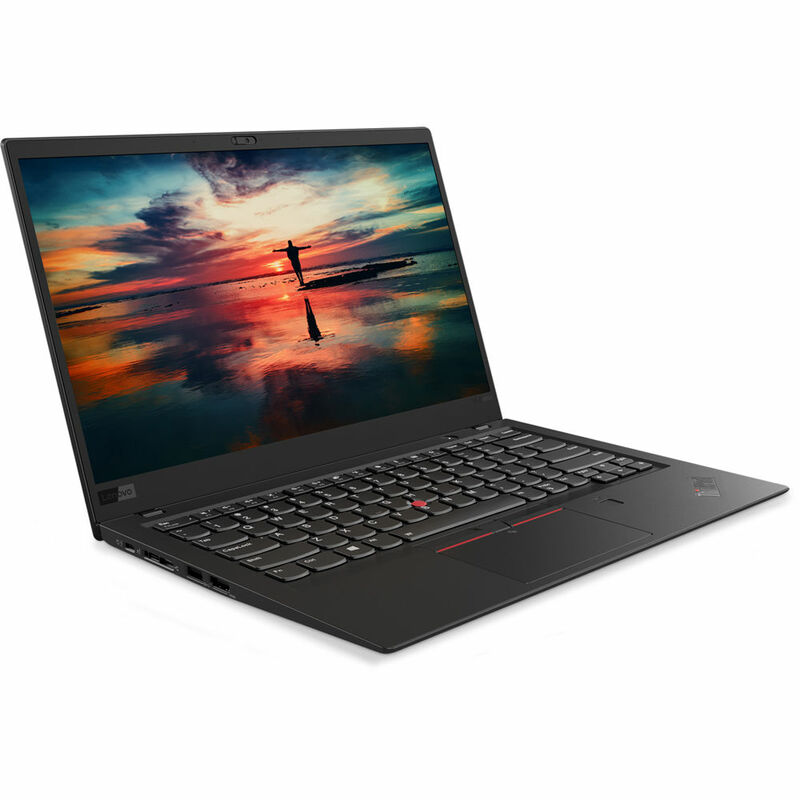 Lenovo’s ThinkPad X1 Extreme really does pack plenty of power into a ridiculously slim and lightweight body. For users who are in the market for an on-the-go powerhouse that can also scratch the occasional gaming itch, the X1 Extreme is a great choice. NVIDIA GeForce GTX 1050 Ti Max-Q: More power efficient version of the GTX 1050 Ti with about 10-15% slower than a normal laptop GTX 1050 Ti. With these GPUs you are able to play modern and demanding games fluently at medium detail settings and HD resolution. » Further information can be found in our Comparison of Mobile Graphics Cards and the corresponding Benchmark List.